The Eclectic Journey is a second-hand Designer online shop. The system is based on Drupal 7 & Drupal Commerce.with Commerce Kickstart, and the design was provided by Südwild Media GmbH. For the purposes of searching and filtering of products, we are making extensive use of the Search API, which brings in a number of facets that needed to be highly themed and modified, to fit the needs of the online shop and its design. The most challenging part of the system, was the following requirement regarding stock. Since each product in the shop is unique (second hand item), we were asked to come up wth a solution where users could reserve the item in their shopping cart for a predefined amount of time only, after which the cart should be automatically cleared - and the respective Drupal-generated order should be changed to Canceled. During this time, the "Add to Cart" button of the product(s) that are in a visitor's cart should change to "Reserved" in the respective product display node. At the same time, this product shouldn't show up in any product-related view. Only when the checkout is complete, should the stock be reduced to zero, which allows the item to show up - but with the message "Out of Stock" and with special theming. The later was achieved with a combination of cron-triggered tasks, a number Rules, and custom code. Special attention was given to the checkout process, that allows the users to checkout in three steps only. For the first step, a special requirement came up: Users should be able to either login first, register, or proceed as anonymous to the checkout. In order to achieve that, we provided a heavily customized version of Drupal;s Checkout Redirect module. Other features of the site include Coupons, Shipping options, European VAT included prices, heavily themed product displays, extensive, fully customizable user profiles with further functionality (e.g. allow the users to post an item that would be interested in seeing in the website) and other. 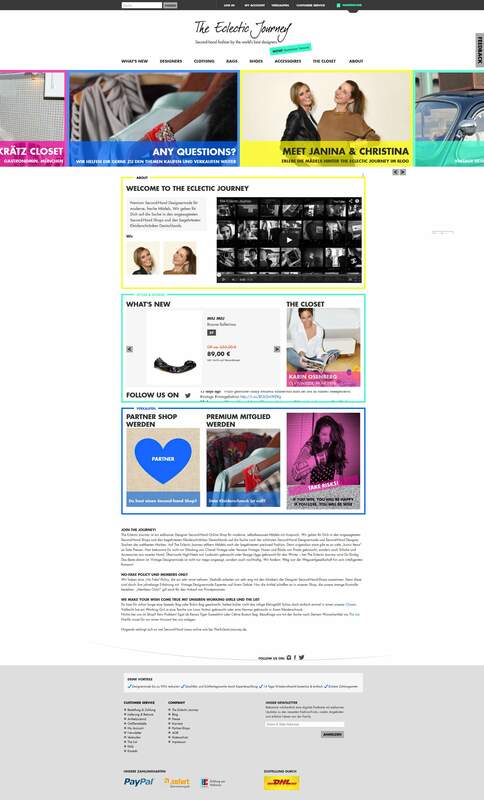 The online shop also includes a Blog section, where the authors can select and include products in each post, allowing them to better promote selected items. 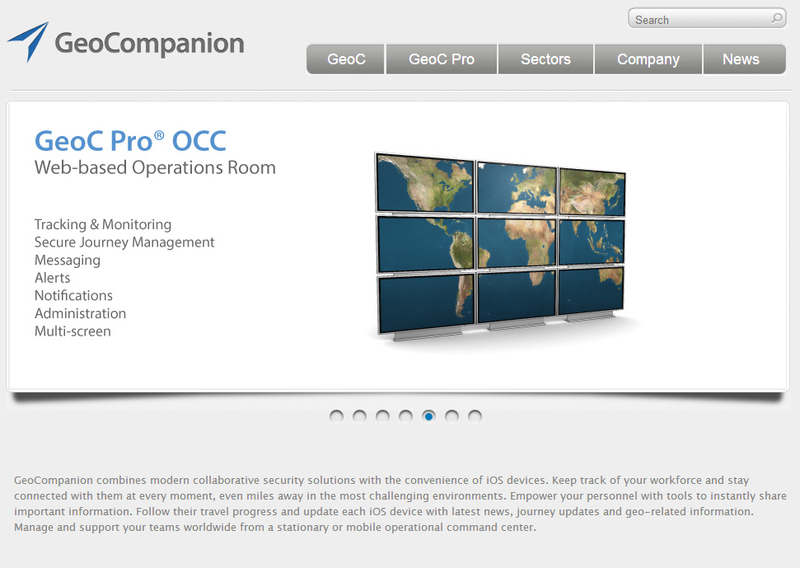 Geocompanion GmbH is a company that delivers mission-critical GIS offline maps for iOS devices.A Drupal website was needed that would act both as a basis for selling the offline maps, but also as a REST server in order to communicate with an iOS mobile app. Drupal commerce with custom functionality was configured, in order to allow the users to buy the maps they needed, and to also provide a personalised interface where users can manage the maps they have bought. For the communication with the mobile device we worked together with a team of developers responsible for developing the app. Once all transactions between Drupal and the App were agreed upon, we developed a number of endpoints in a custom module that would provide the app with all the necessary ways to communicate with Drupal. Starting from core user login and registration, we continued with the custom functionality necessary for sending large files, lists of content, options to buy directly from within the app and other.Users that login from the app have all the maps they have bought available, and they can edit or delete them, or download them again - but only once per device (according to the businees model of geocompanion). Metadata for each map were, of course, also included as part of the transactions. Wegweiser GmbH is a leading company that uses a strategic combination of conferences, exhibitions, publications and studies and with the involvement of leading experts from the worlds of politics and business, to bring together the most important people and help to provide an illustration and understanding, from a broader perspective, of future challenges and the changes which need to be made. A multilingual (4 languages) Drupal website was asked, where each piece of content would be posted in a detailed, tabbed layout. In order to facilitate the content management, each node needed to be editable from one single page. A mega menu was requested, that would split the content in two columns, depending on the upcoming date of each event. Drupal commerce and commerce registration allows the users to register for the conferences, or buy additional products, whether it is a sponsorhip package or publications. For the latter, calculations based on the total weight of the products was also needed, in order to automatically update the shipping costs during checkout. Custom modules where needed in order to provide URLs, that would expire after one use, that wegweiser would provide to selected clients in order to download material from the conferences. Moreover, we were asked to provide some functionality that would, among other, alter the product selection method from dropdown list to radio buttons, to hide a horizontal tab in node display depending on the value of a checkbox, and of course to Translate Order total, Shipping Information, Billing information. The owner of MetalEra records was holding an inventory of all music cds/dvd/lps etc that were available in the shop in an excel list. Our task was to develop a custom module, that would automatically retrieve each record and convert it to a drupal node. Then, there came the magic:By implementing a number of free music APIs (like e.g. last.fm), these drupal nodes would be automatically updated with pictures and information not only for the Album, but for the artist as well. The retrieved info would be stored in the database to save bandwidth on future calls. So in the end, not only is there a list available online, but also a small "live" music wiki that would be updated in case information change. A second custom module is working closely with a desktop application the client was running to keep track of the sales and clients. Everytime a client purchases a product in the shop, he/she earns userpoints that are updated in their Drupal profile and tranlated into discount for future purposes. Users have the option to pay cash or use the points any time. Future plans include the implementation of userpoints with ubercart. it is worth noting that this project was developed under a very stressful deadline, during which we came through without loosing in quality of the deliverable. 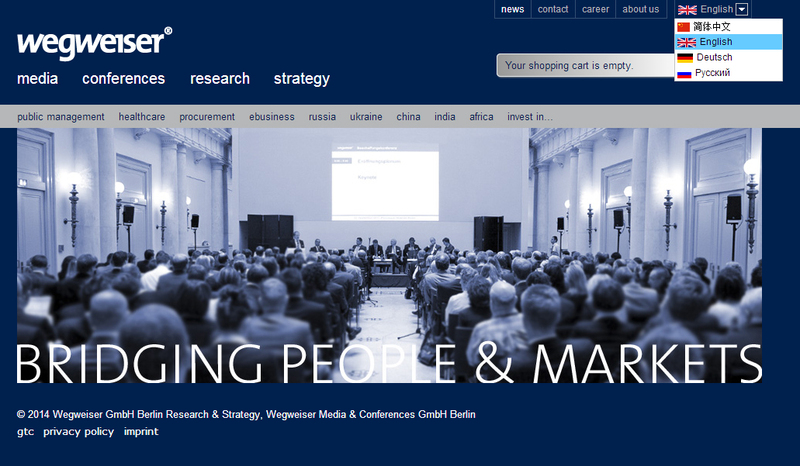 This project involved the conversion of the old Solebich website built with TYPO3 to Drupal. Solebich is the biggest interior design community in Germany. The community had more than 20k users and 100k nodes. We first developed a Drupal system mimitaing each and every aspect and functionalities of the old website. Then we transfered the data from TYPO3 to Drupal, working closely with XLContent. Numerous community features were implemented including user friend and messaging system and other. Users can create profiles, blog posts and Image galleries, and they can access their personalised accounts in their profile pages. Different templates are provided depending on if the users see their own - or other users pages. A custom theme was provided from PSD files were user profile pages and node templates were heavily customised to meet the special requirements. Custom modules were developed for special file caching mechanisms and other & custom code was inserted in various places to provide the relevant output. This is an ongoing project and many updates are about to take place. 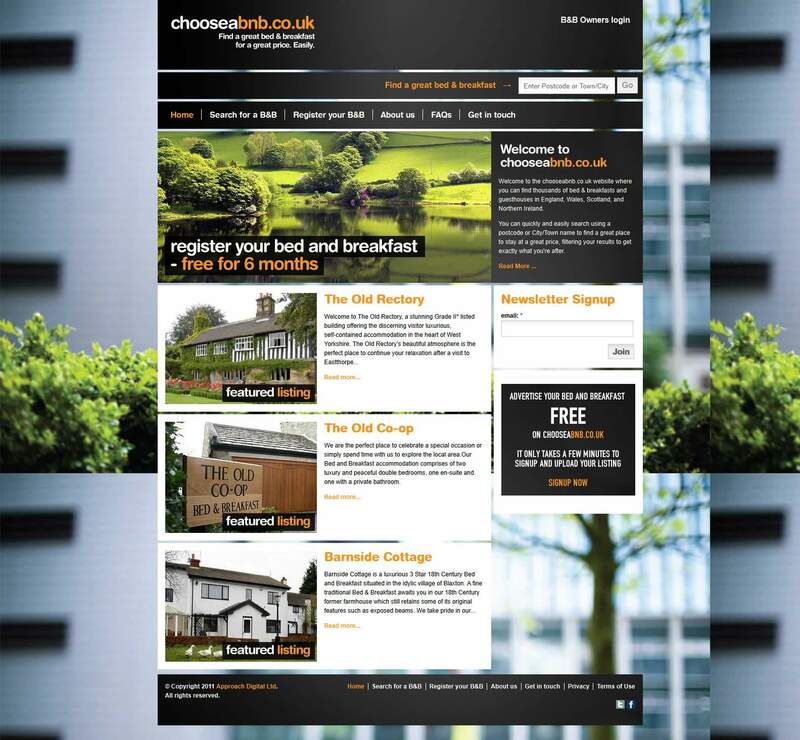 This website was developed from scratch in Drupal. The first task was to provide a drupal theme out of PSD files with a number of custom regions. We used, as usually, zen theme as a basis. Quite interesting part is the slide show in the front page, where each slide contains the latest two entries of each taxonomy term. For comments, we implemented an integration with DISQUS (http://disqus.com/). You can find an example / article here: http://www.tradersreserve.com/article/get-paid-7-8-own-monopoly. The last task was to install, configure and theme Ubercart, so now this website offers paid services as well. This is an ongoing project, started July 2009. We first started working on the theme of the Legal Balance (working closely with IDCM Innovations - http://idcminnovations.com/). After that our role included further drupal development of the website, development of custom modules, general bug fixing from the previous developer, and server troubleshooting and configuration. Our latest tasks included a custom registration system that integrates Recurly as a third party payment solution, and a digest page where all content is aggregated to be exported to the TLB Newsletter. 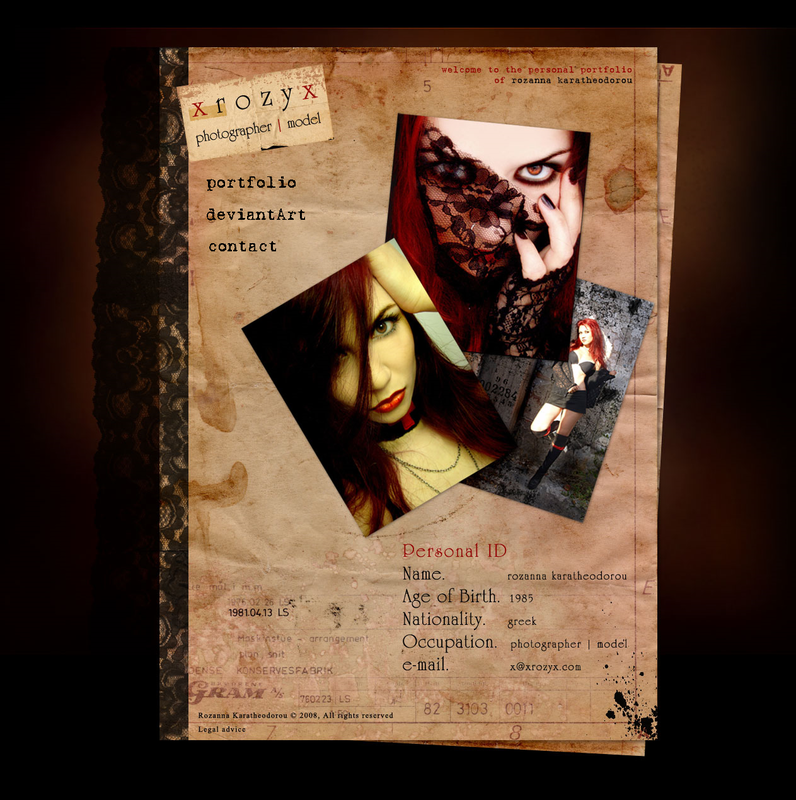 This is the personal website of the model and photographer Mrs. Karatheodorou R. Her portfolio is presented through a themed image gallery. The strongest part of this website is the vintage design, created from scratch in photoshop then converted to drupal theme. 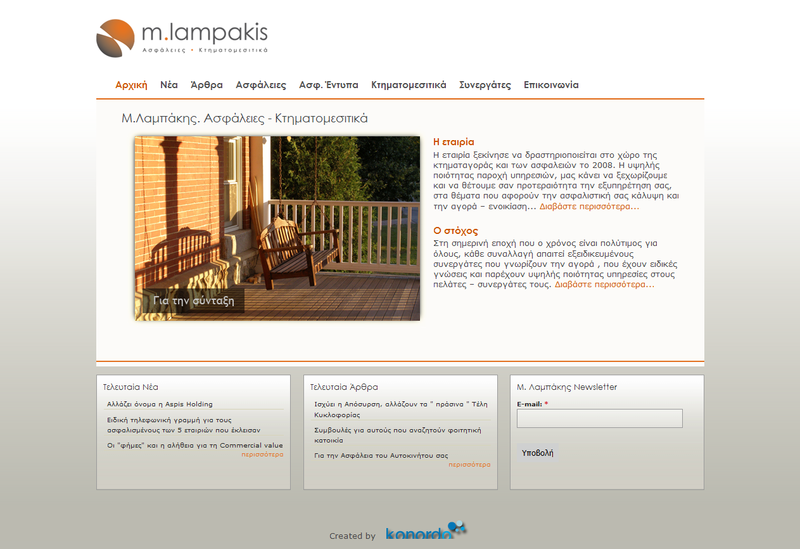 Mr Emanouil Lampakis trusted us to create a full corporate ID and his business website. It deals with insurances and real estates. 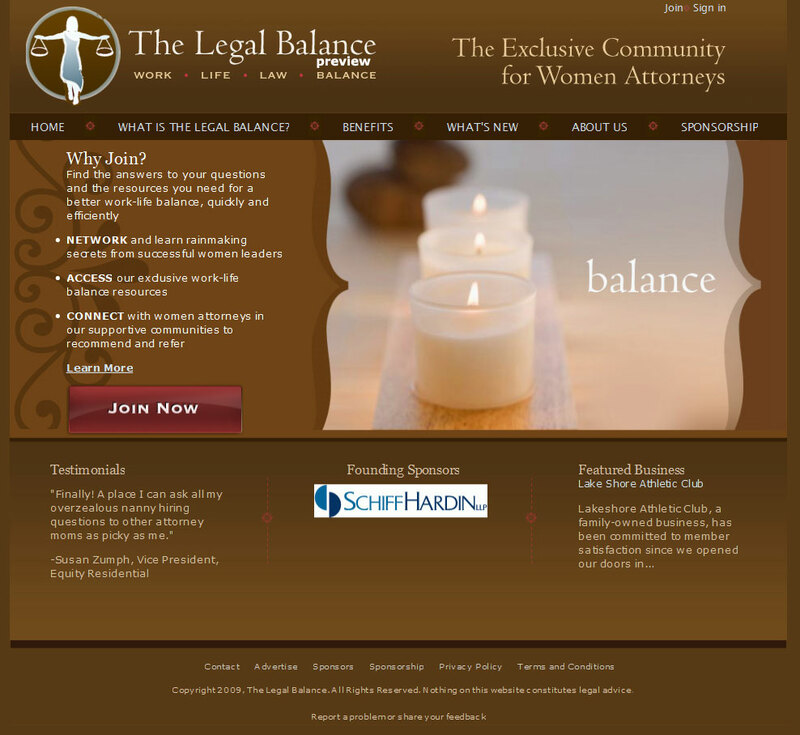 All graphics were created from scratch in photoshop, then converted to a drupal theme. The website has many custom collapsible regions and some jquery implementations. The strongest parts of the website are the custom modules that were developed in order to provide a very customized search form for real estates.